In the territory formerly known as America, a young woman is one of the few to survive the destruction of twenty-first century civilization. Now she must live through the aftermath of the tragedy known only as the Fall. In a world where technology no longer functions, where most people have disappeared, and where creatures of nightmare roam free, can her strength and determination keep her alive? And could the characteristics that kept her so isolated in the past now become advantages? This is the situation in which Coyote finds herself, and these volumes chronicle her transition from a teen unable to fit in with society to the hero responsible for saving what remained of humanity. Many may have heard, in full or in part, the story of Coyote and her companions as they struggled to bring human civilization back from the ashes of destruction so many years ago. But here we have the story told in the words of the original sources—the heroine and her companions themselves. 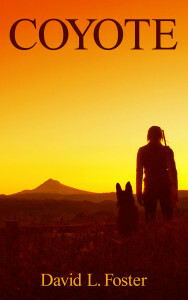 This first volume of the Tales of Coyote recounts the early stages of Coyote’s journey across a newly devastated land as well as the early stages of her journey from isolated teen to leader of the survivors whose names are legend to us now. The accounts presented here, written independently by Coyote and her companions and posthumously published, have now been brought together for the first time—woven to give the reader a new depth and insight into the story of Coyote. It is the story of all humanity’s struggle for survival and freedom after the Fall.